At the invitation with stamp from the Swedish Royal House we have not quite believed that this is real. But, the GlobalChildForum under the auspices of the Swedish Majesties Queen Silvia and King Carl-Gustav worldwide representatives invited – also to the topic refugees, in particular children have to devote. Approx. 500 representatives of companies and organizations met at the 26.11.2015 to the GlobalChildForum. No, that was nothing, where you can buy a. We were explicitly invited – because of the welcome app. 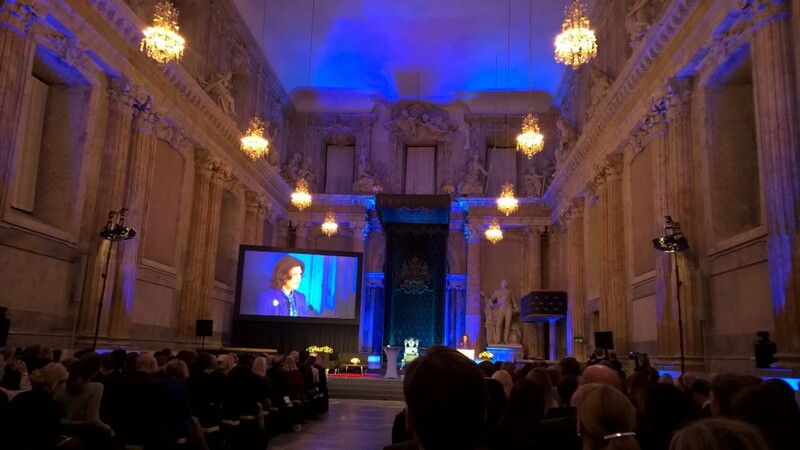 The Congress consisted on the one hand of many highly interesting lectures in the impressive Hall of the Palace to Stockholm and as well as active discussions on various topics – both with the participation of family members of the King home. Deeply impressed by the commitment of the Royal family around the world's children, as well as the general atmosphere we have attended the event.